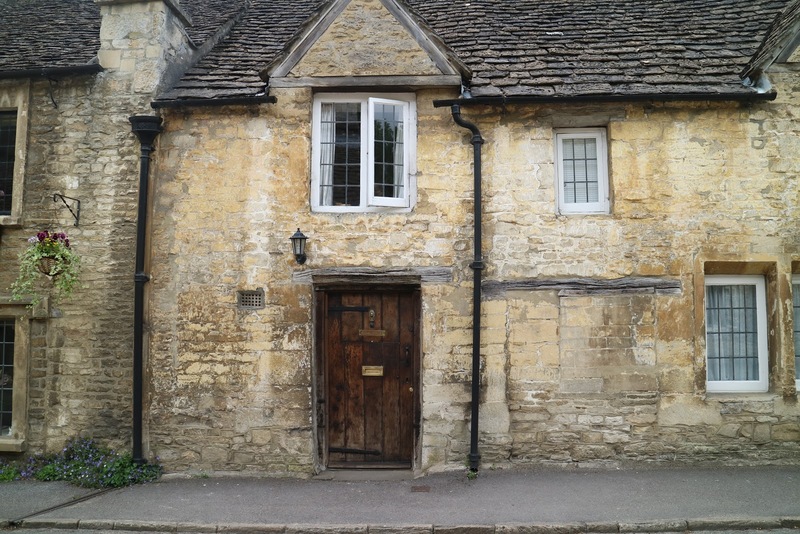 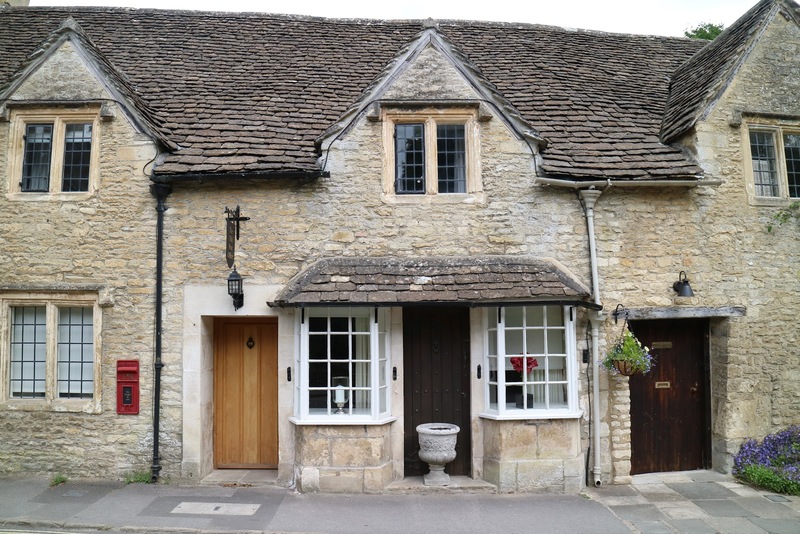 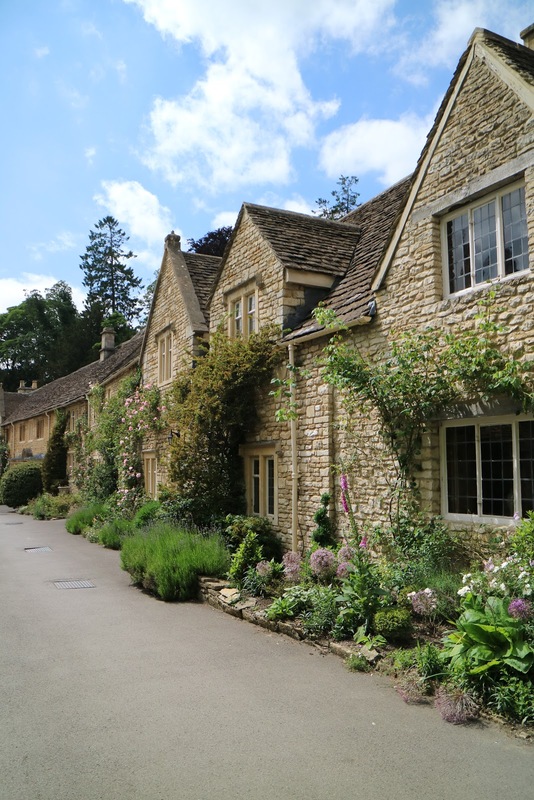 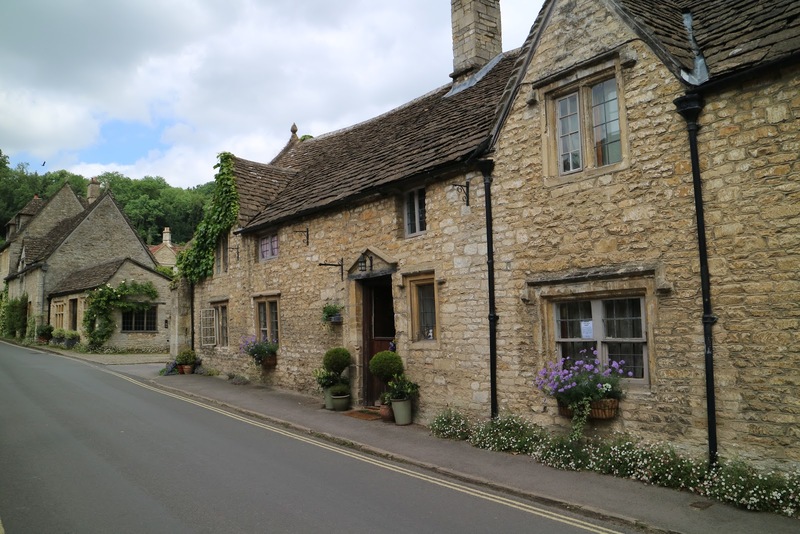 On the second day of our English road trip, after having spent the morning exploring Lacock Abbey, we drove 10 miles up the road to our next Cotswolds Village - Castle Combe! 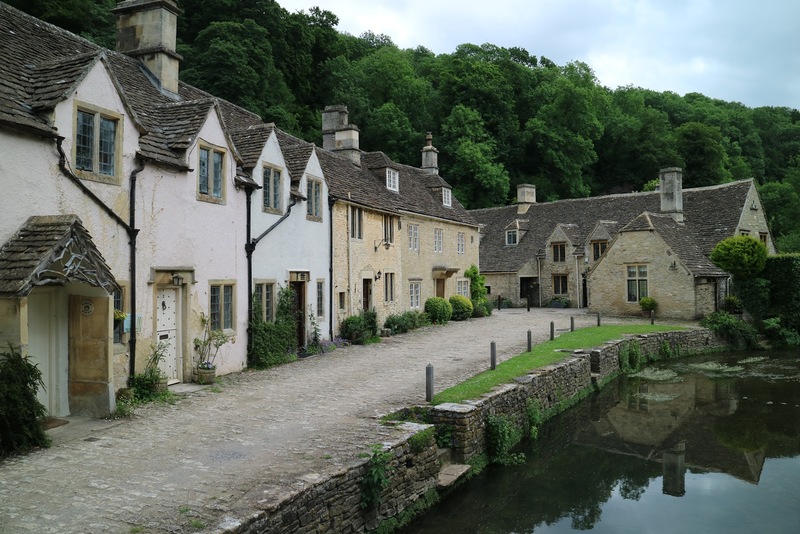 Just when I was thinking that nowhere could be more beautiful than Lacock Village... Castle Combe may have stolen the show. 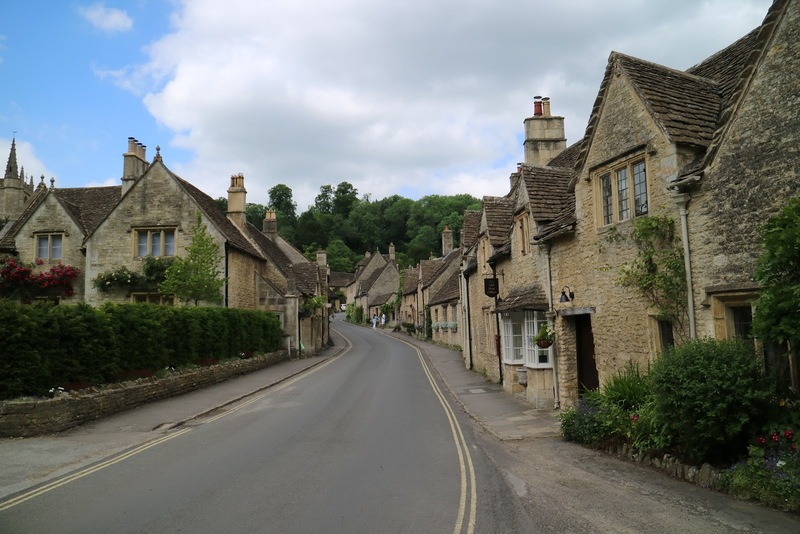 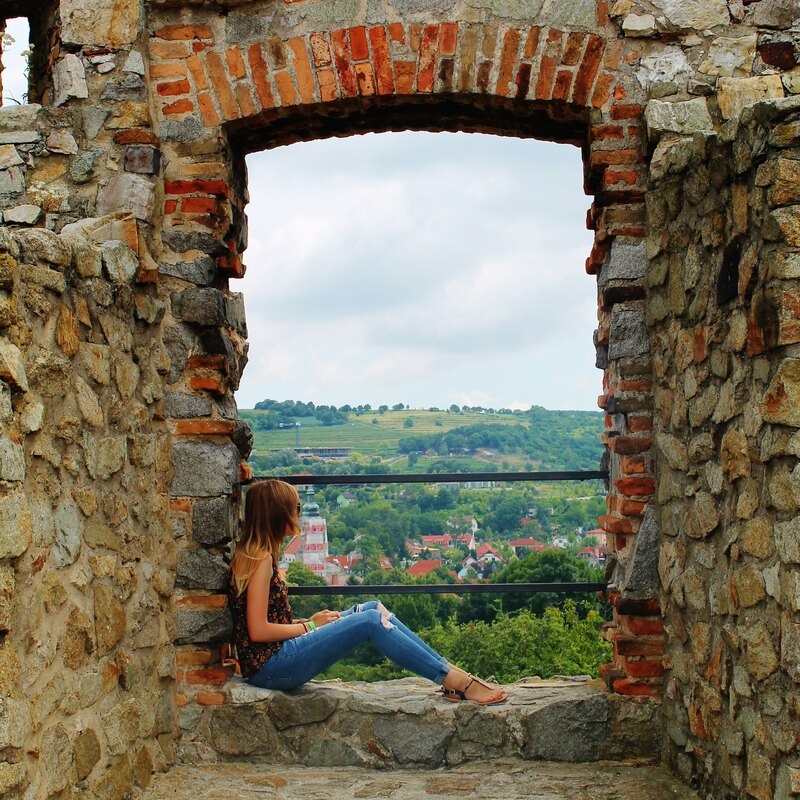 This small village is arguably one of the sweetest places in England! 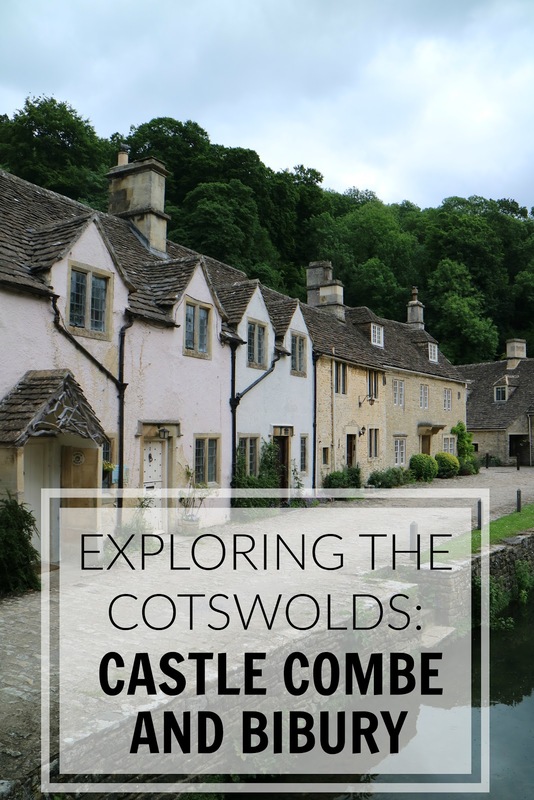 Still very much in the south of the Cotswolds, Castle Combe felt smaller than Lacock and is just as easy to explore on foot. 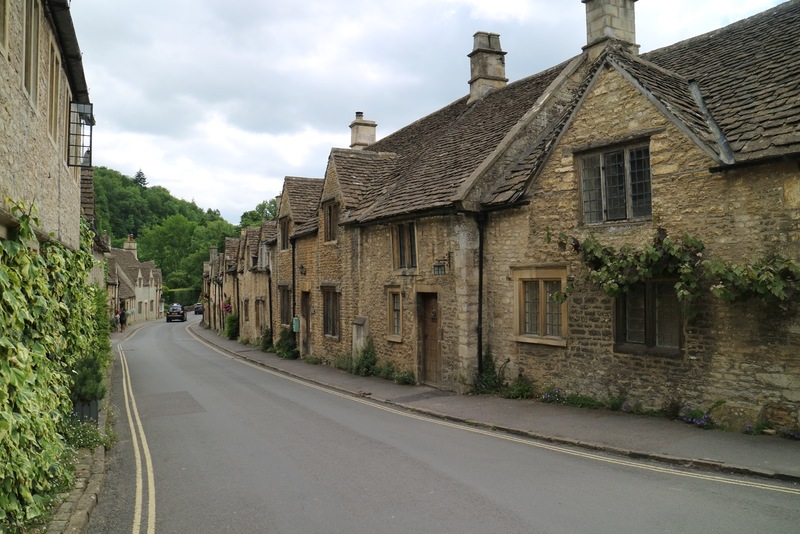 The double yellow lines on most of the roads also meant that there were no parked cars - really making the village feel like you've stepped back in time! 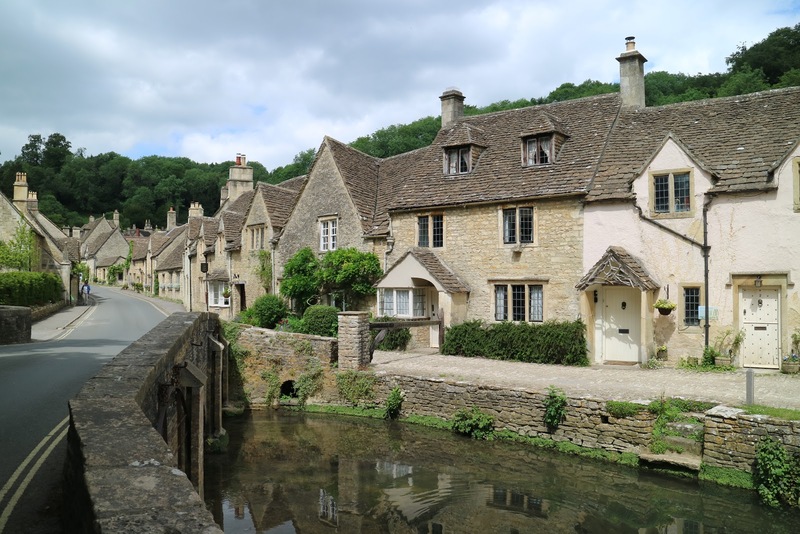 One of the most beautiful and well photographed streets in Castle Combe is Water Lane, and as the name suggests is right next to the river that runs through the village. 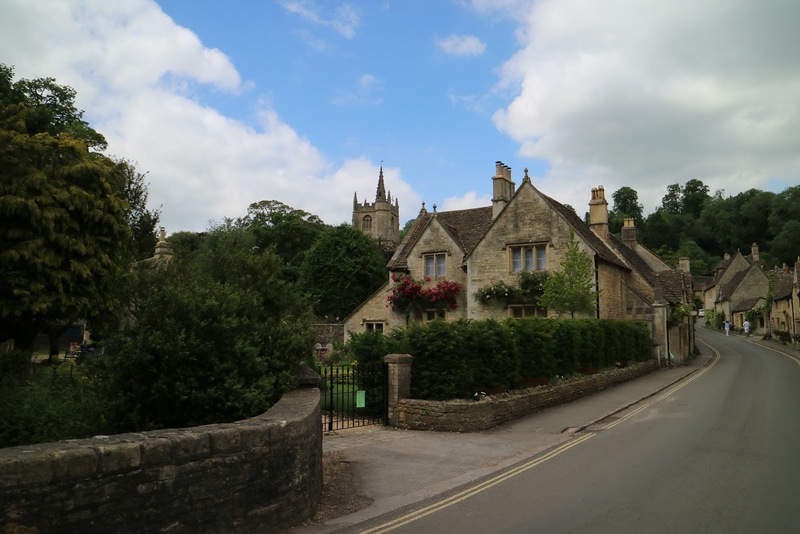 After heading back up the high street, we walked around St. Andrew's Church and through West Street. 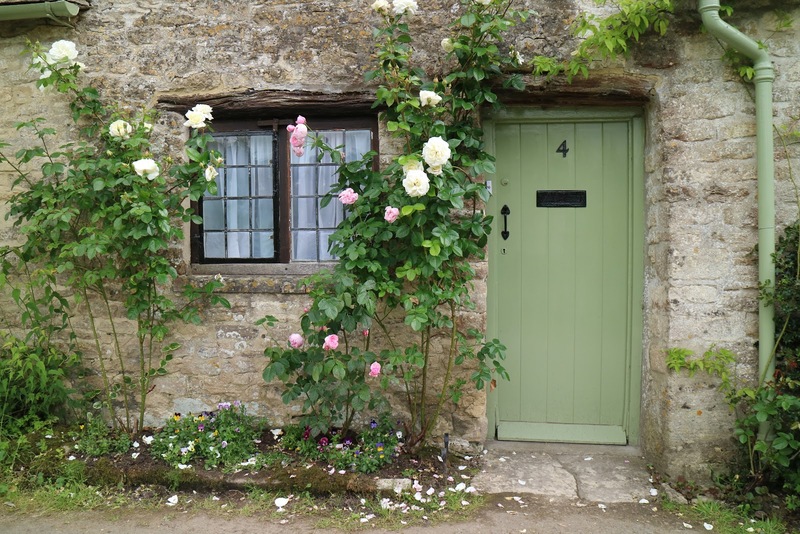 Another beautiful lane of quaint cottages with flowers growing up the brickwork. 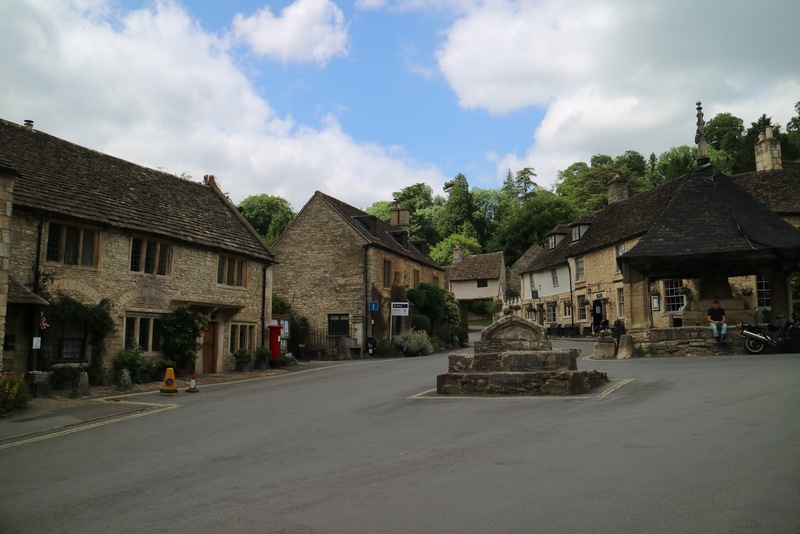 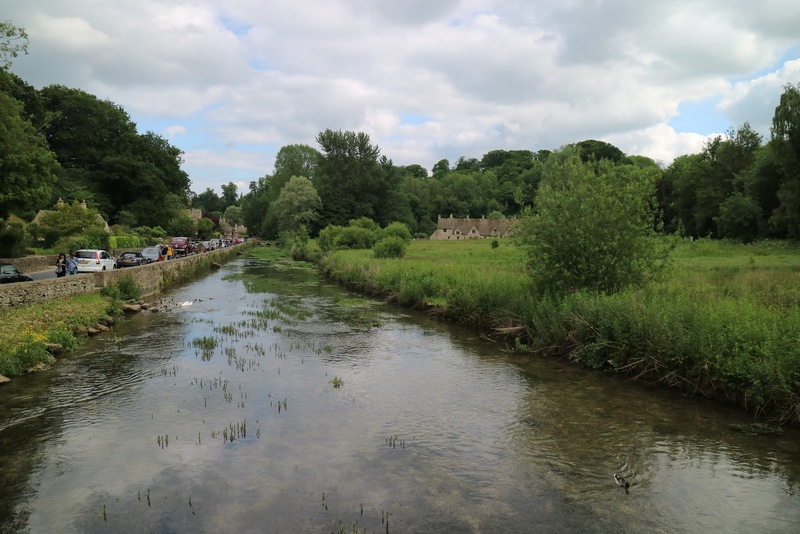 We then got back in the car and drove 45 minutes to the village of Bibury. 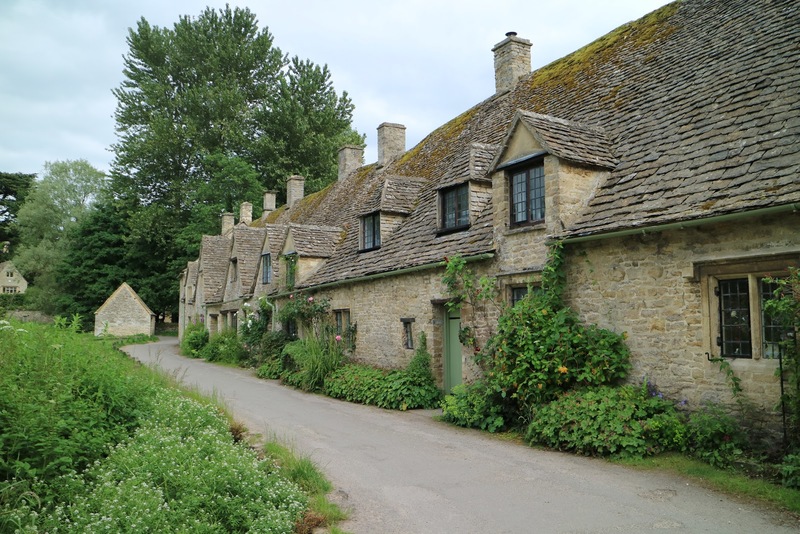 Along the way we drove through more cute hamlets and villages. 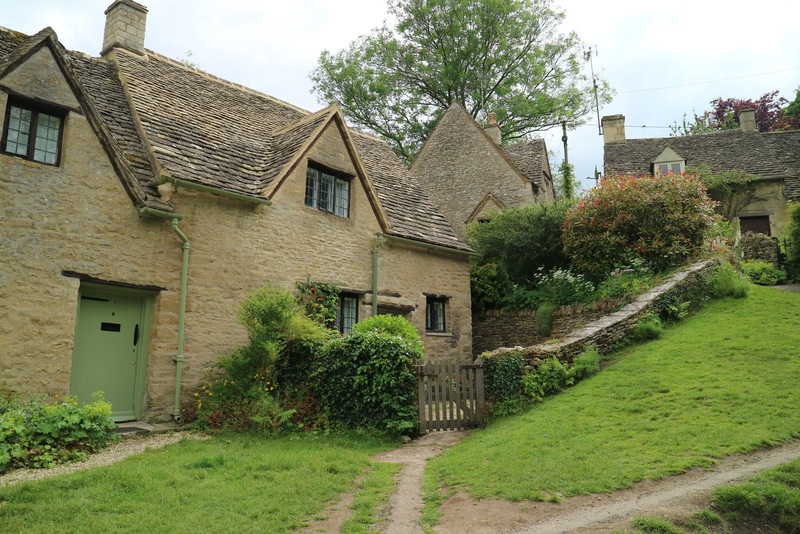 The Cotswolds really is one of the most beautiful places I've ever visited. 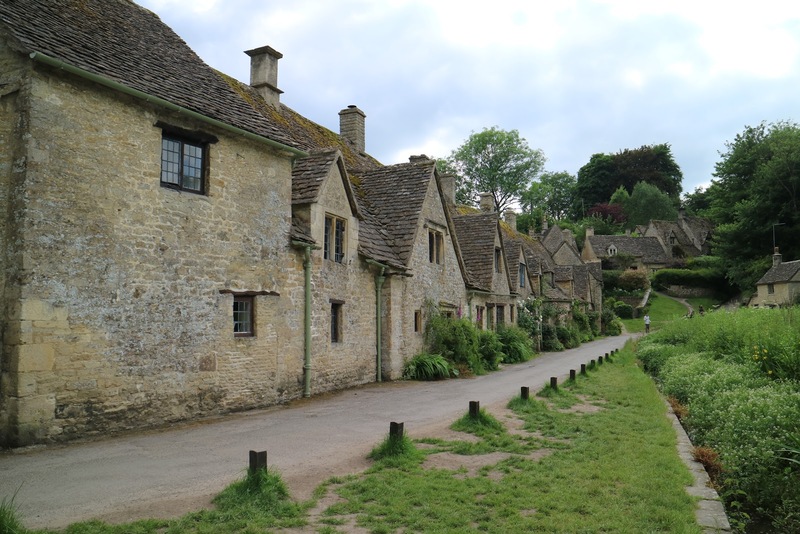 Bibury is a popular village for visitors going on tours of the Cotswolds, so unfortunately was slightly spoilt by the number of large coaches parked up. 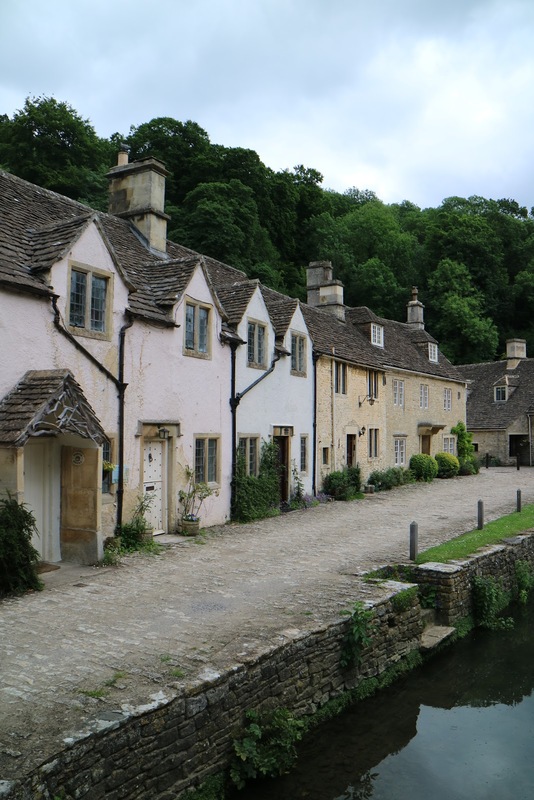 However, the village itself is still stunning. 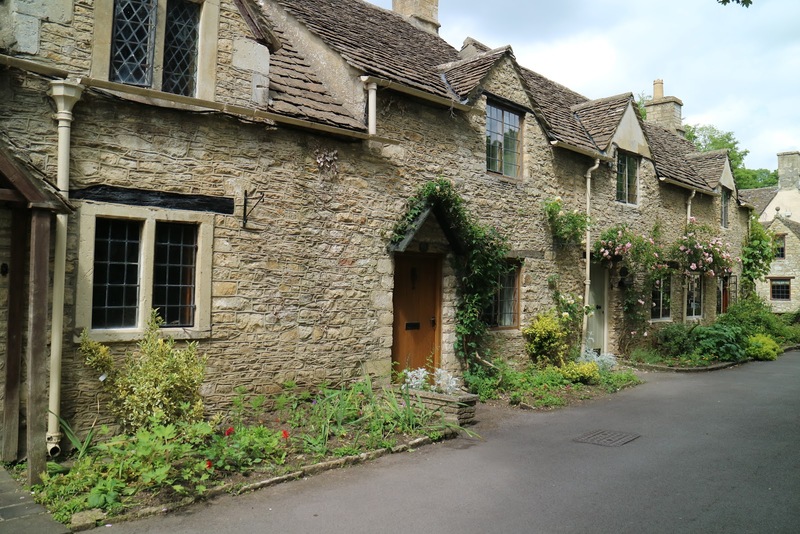 One of the most well-known streets Arlington Row, is actually on the inside cover of all UK passports! 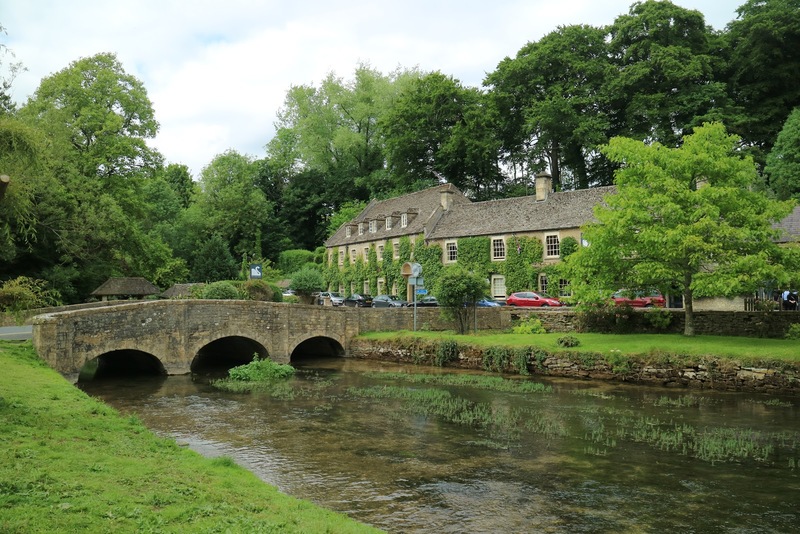 After taking a quick wander through Bibury, we headed back south to Bradford-On-Avon, where we stayed in an AirBnB for the next two nights!